The document is a handwritten note by the Assistant Secretary of State giving favored nation status to Great Britain in the matter of Panama Canal tolls. 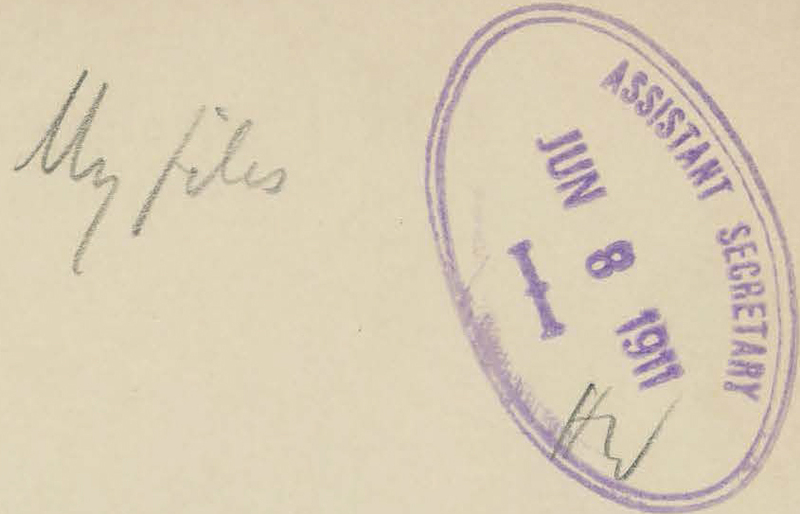 Huntington-Wilson, Francis Mairs, "Note Regarding Panama Canal Tolling, February 1913" (1913). Notes, Speeches, Articles, and Addresses. 13.